Are you tired of work slipping off your radar or missing a step in your project plan? 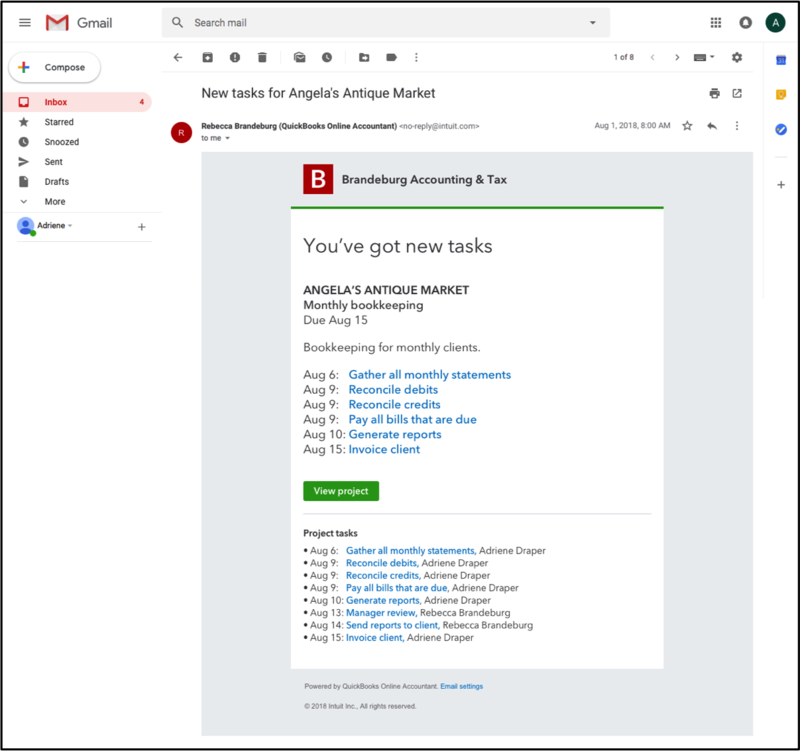 With the introduction of Work notifications and Quickstart templates, the Work tab in QuickBooks® Online Accountant (QBOA) is looking to stop that. These features really bridge the gap in making the Work tab feel more like a true practice and project management tool. Have you ever followed up with team members on a project and they did not even realize they were assigned to it? Hopefully, that problem has been solved. Notifications can now be enabled in QBOA Work via Slack or email, allowing you and your team to stay on top of projects and ensure nothing slips through the cracks. Also, instead of forcing you into a solution that isn’t flexible to your needs, by being able to use both Slack and email, notifications are customizable to how you and your team work. Slack Notifications. By enabling Slack notifications, you will receive automatic project notifications, updates and reminders right in Slack. Then, notifications can be set to a specific channel or to multiple channels, and will tag the users in them. In addition, clicking on a project or task in Slack will pull up that same item directly in QBOA. The flexibility of having the notifications go to one channel or multiple channels allows this to be a good fit for small and large teams. Small teams will likely have all of the project notifications go into one channel and everyone will see them. 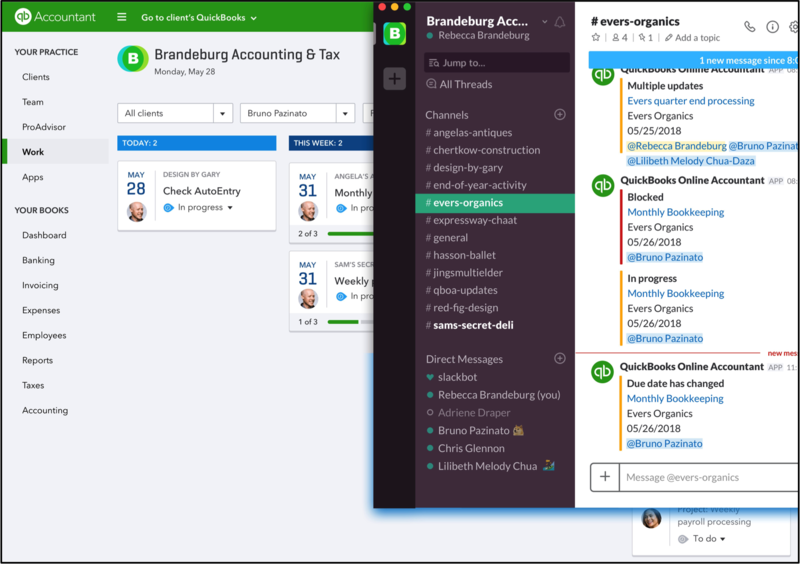 Larger teams will likely create a Slack channel for each bookkeeper or team. This channel will only show the notifications for the clients that the individual bookkeeper or team services. The ability to have notifications go to multiple channels will prevent team members from losing track of their assigned job within the channel. Email Notifications. I know … email is supposedly “dead” because it’s not real-time communications and many firms aren’t using it as much as they previously did. However, if you are anything like me, then you are still tied to your email and would like to be notified of new projects and tasks. Luckily, for us, email notifications was released for QBOA Work. With this release, we can select to receive emails on new assignments, due dates, assignees, name, details, status and deletions. These settings are for all projects and, by default, the New Assignment and Due Date email notifications are turned on. However, these settings are adjusted on an individual team member level and not on a firm level. This is a nice feature, but some may not want to get an email every time one of the projects’ statuses is updated. With this feature, staff members can turn off email notifications when they are assigned a project. Turning on notifications (Slack or email) will have a major impact on the ability for teams to keep track of their assigned projects and due dates. The Work tab inside QBOA also includes new Quickstart Templates to help us save time and achieve consistency across our teams. These templates give us a quick jump-start on setting up your projects and tasks, and include monthly bookkeeping, payroll, client onboarding and year-end tax. 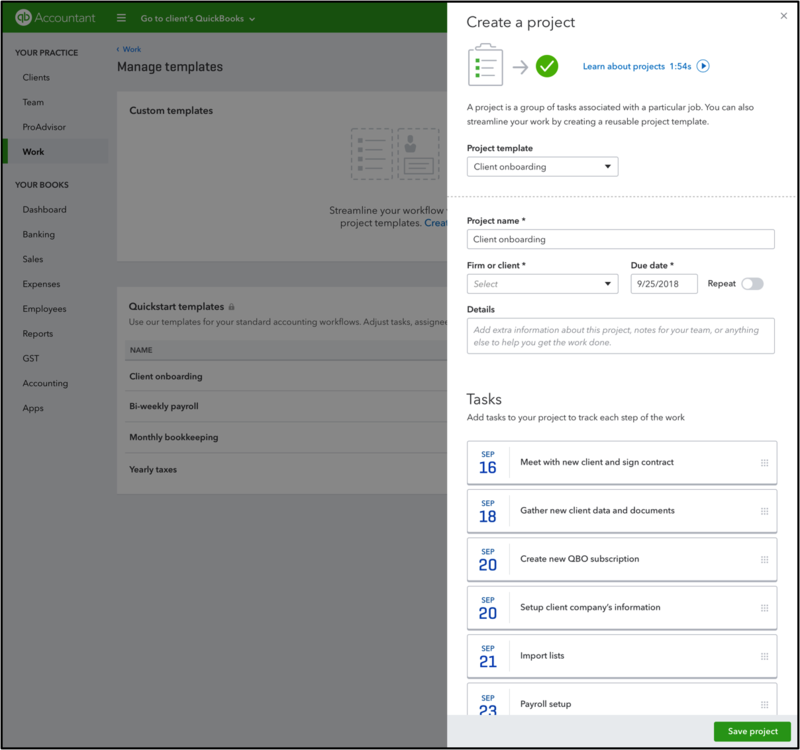 I believe Quickstart Templates will be very useful if you do not have a workflow in place, or as a starting point to creating custom templates for your firm. Even if you already have a workflow created, I would encourage you to look at them. Custom templates allow you to build workflows specific to your firm or client’s needs. They can be created from a Quickstart Template, project or from scratch. Once the template is created, your team then has a consistent workflow to apply every time. By adding notifications and templates, the Work tab has taken the necessary steps to becoming a true practice and project management tool. If you are struggling to manage workflow, correctly distribute work and make sure the projects are done on time I would encourage you to take the time to explore what the Work tab can do for you. 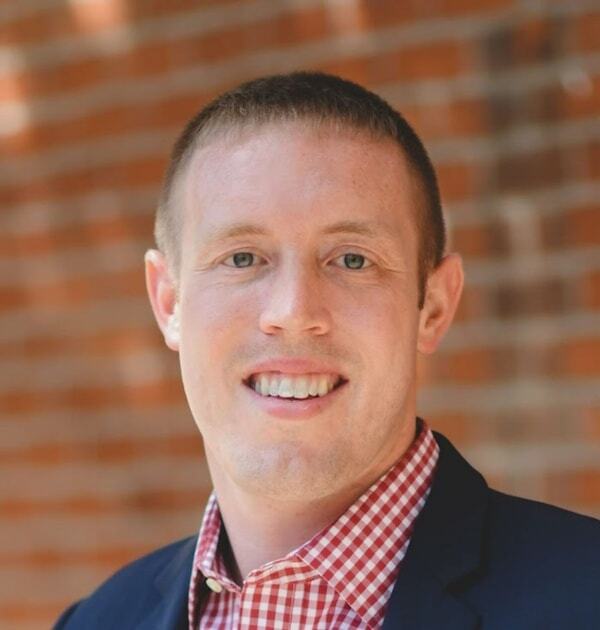 Jacob Schroeder, CPA, is the CEO and founder of Ascend Consulting, LLC. He works with small business owners to help them truly understand and assist them in scaling their business. Jacob is also a member of the 2017-2018 Intuit’s Accountants Council.